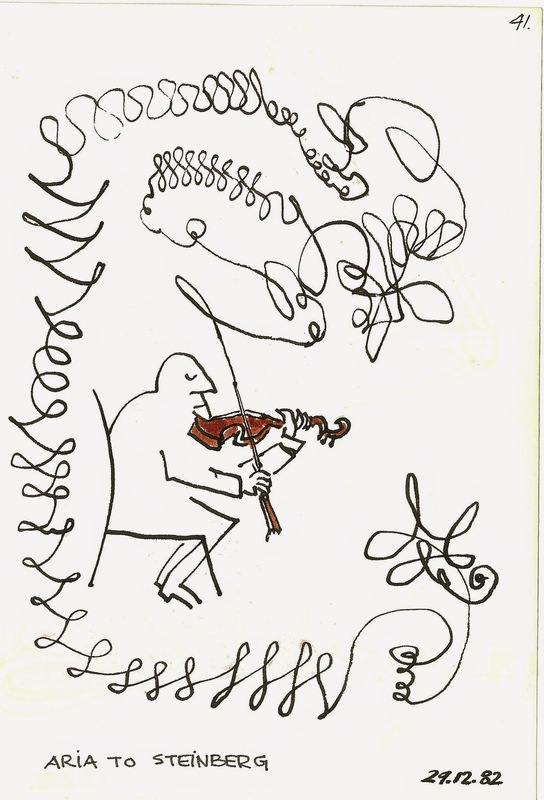 "You can smell the resin in his violin parts, taste the reeds in the oboes." Why Bach? I requested an answer to some of my friends, many of them musicians. I did receive a, "Why not?" Composer Rodney Sharman mentioned what somebody else said about Bach (Igor Stravinksy ) so that statement is above. Many of these erudite musicians apparently while being able to read complex music do no seem to be clear on what a paragraph is. His music can truly be described as divine art. Bach weaves together unfathomably intricate lines of music to create something that touches deep within the human soul. I will never stop loving to perform his music. I hope I continue to have the honour. What to say about that greatest of musical minds? When exposed to his music as a player or listener, I am always filled with a sense of wonder about the Shakespearian volume and variety of his work, in which the music flows freely, but is at the same time mathematically organized. And although there is the occasional moment of frustration when the great man wrongfoots you yet again, making you realize that your presumed understanding is being proved wrong, his music always fills me with joy. A joy that not only comes from simply experiencing his beautiful melodies, rhythmic invention and killer harmony, but also from the awareness of being in the presence of a great mind, who somehow seems to have had an insight into the true nature of things. If you've heard pianist Glenn Gould lovingly caress each perfect note from Johann Sebastian Bach's Goldberg Variations, or listened to Kathleen Ferrier's burnished alto pleading for mercy in "Erbarme dich" from Bach's St. Matthew Passion, you will know the essence of Bach. You will have a sense of the deep power of Bach's music, and his gift for making each of us want to find our better selves. In 1685, Mother Nature sneezed. She felt a sharp pang, then birthed a wet, genius bundle of light with twice the allotment of talent and zeal as anyone else. Gesundheit. The young Sebastian got his hands dirty repairing pipe organs. He earned a rep for incredible keyboard facility, a kind of Hendrix of the organ, if you can forgive the anachronism. He once shirked his church gig to hang with Buxtehude in Lübeck, 250 miles north, walking both ways. In winter. He returned with twisted chorales for his confused but appreciative congregation. Then came the cantatas, reams of them, keyboard works, concertos, sonatas, solo works, masses, marriage, love, and a house full of children who all lived and breathed music and expanded on papa's art in their own ways. When the music stopped, like the unfinished Contrapunctus 14, the silence was cold as snow. We know Bach put on his Hosen one leg at a time just like everyone else. Except once he got dressed he wrote triple fugues. He lived, and laughed, prayed and drank like the rest of us. But he was more than us. Why Bach? The obvious answer is "why not? ", but Bach deserves more than that. I've played a lot of Bach, and listened to a lot more, and I never get tired of either. The appeal, for me, lies in the way he marries incredible complexity with an abiding commitment to fundamental melodic simplicity. There are plenty of layers in his music, but for me they're never obtrusive; they only serve to deepen the beauty of the experience. The music of J.S. Bach balances the structural, the technical, the spiritual and the sensual. Musicians speak little about the latter quality, but to me it is an essential part of his work. There is some explicit eros in the cantatas, of course, and in his overtly pietist music, but it also present in so many of the instrumental pieces. As a flute-player, I approach Bach's music with eagerness and joy, so deliciously conscious of my breath, lips and tongue. As a teacher, I delight in showing the quirkiness of the early cantatas to my students, written before JSB's exposure to contemporary Italian music and common-practice tonality; I offer the later cantatas and passions as models of multiplicity and layering. As a composer, I also aspire to the balance the structural, technical, spiritual and sensual. We can always learn from better artists than ourselves, and that, too, is one of the life-long lessons of J.S. Bach, his gift to us, his legacy. Too late, Alex. I have only positive things to say except, perhaps, that he's the only composer I know of who did prison time except Dame Ethyl Smyth. Suite no 2 in B minor, BWV 1067 These select works and many others by the great Kapellmeister have been constant companions since I was a teenager. I believe, no words can explain 'Why Bach' as much as listening to the music. 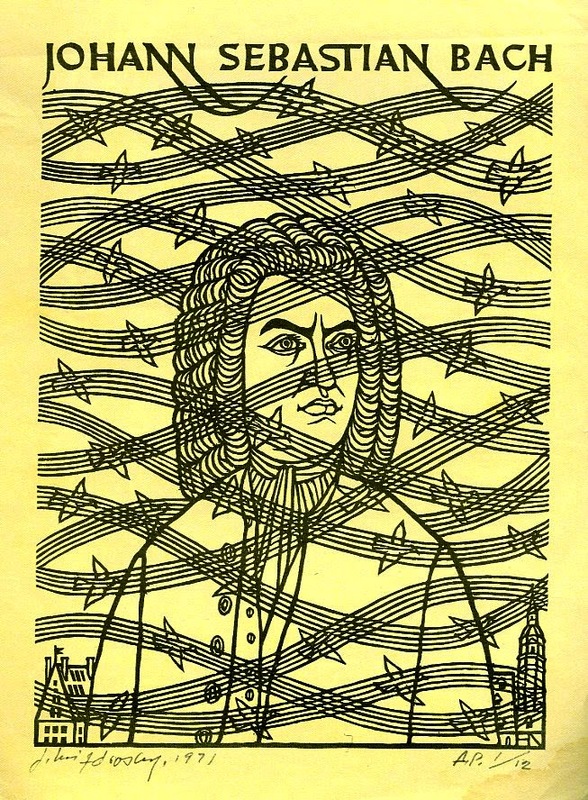 The emotional depth of Bach's work constantly astounds and inspires. Why not Bach? Why not Wachet Auf Chorale Prelude? What a great idea! I am getting ready to perform a bunch of Bach harpsichord concertos so this is on my mind...Bach is unique among the great composers in that he seemed to be writing not for his own time but for some universal ideal. Indeed his music only began to have significant impact nearly 100 years after his death. In some ways he fit the mold of the 19th-century artist/genius better than that of the Baroque artisan/craftsman. On the other hand he had a deeply pious humility rare in composers since the 18th century.Those are my thoughts about Bach this morning. As for myself, I can only say that I find Bach fresh and surprising and creative after a lifetime of listening, which I guess is a sign of true genius. I am a Jazz musician and Bach to me was one of the first major improvisers. His fugues for piano or cello are masterpieces of open improvisation full of rhythmic nuances and yes, a swing feel. The fact that they are written down doesn’t alter the fact that Bach was improvising. A master Jazz player like Charlie Parker or Bud Powell would play over a structured form and build a set of variations and so would Bach. He wrote the notes down with very little direction as to how to phrase or interpret them leaving his music open and free to personalize for eternity. Why Bach? Which one? I'm actually fascinated by the relative and intermittent obscurity and fame of J.S. and his kids as they traverse history. From what I've learned it took marketing efforts from W.A. Mozart and Felix Mendlessohn to reinvigorate musical history with J.S.B's talents a generation after his death! For me as a trombonist, I still try to play through a dance or two from his unaccompanied cello suites as often as possible to find my core sound, a template for balancing rhythm,harmony, and melody, and way into my inner desire to get a Handel (just kidding, he sure creeps in every December, eh!) on this chaotic world. Playing Bach on the organ, I think of life 300 years ago. The quiet of the land, the natural environment when thunder would sound catastrophic so the full organ must have been unimaginably awesome. To play Bach is the beginning and the end for me. I will always play and learn and relearn his music. The Chorale Prelude Wachet Auf, is a signal; a clarion call for love and peace. To play it at this time of the year; to accompany the choir as they sing the very old melody is to create that great ephemeral beauty that is always with us and always unattainable. I practice Bach today at my pleasure, the inner context of the notes and patterns amongst themselves, providing its own reward. I remember trying to play Bach as a young music student. The patterns in the score kept flowing on and on, but there was no convincing outer context that I was afforded to help make sense of the whole. The only dictum was “you must practice this,” and of course I did. Today the outer context of Bach has two parts, the commercial and the institutional. While we holiday-shop, we hear “Sheep May Safely...", and “Jesu, Joy..." canned orchestrally. As we attend concerts or educate the next generations of music students, we reference him as of central value amongst the old composers of art. It remains unconvincing to me. So I try to leave all this aside, as if discarding the tough, outer husk of a fruit. Within, the most delicious, fleshy, tropical pulp awaits: I practice Bach today at my pleasure, the inner context of the notes and patterns amongst themselves, providing its own reward. Because Bach's music reflects back to us what makes us most deeply human, our joys and sorrows and the most profound aspects of what it is to be a human in the world. Playing and listening to his music makes us better people. Reason enough? It's universally understood that, to understand Bach, you have to immerse yourself into the vast sea of sacred vocal works. In this collection of cantatas, oratorios, motets, and passions, stands the testament of a man who not only fully understood the complexities of humanity and divinity, but also understood the complexities in the way that the two are inextricably linked. Despite his unrivalled contrapuntal ingenuity, and a rhythmic and harmonic language that borders on jazz, it's his unmatched understanding of the bittersweet reality of life that has deepened my devotion to Bach. Being a black man raised in the Deep South, religion played a strong role in my upbringing. There is a hope and trust in better things to come after death that galvanized the will of the black people in America. There is a sweetness in death, due to the promise of no racism, poverty, homelessness, or any sort of injustice or inequality. There is a steady march to the end of our days, blindly focused on a world better than the one we live in now. And the only way to get there is by standing above and brooking the storm, all the while doing our best to make the journey just a little better for those who walk behind us. Yet, there is still joy. There is still love. There is still a happiness that can be seen and enjoyed. These messages are passed down in story and song for us, and Bach's music tends to sing the same tune. I get the same feeling from singing a cantata or passion that I do from any spiritual or gospel tune. It's that connection that makes his music impossible to see as historic, or part of a canon. It's alive and relevant, because WE are. "This is what I have to say about Bach's life work: listen, play, love, revere - and keep your trap shut."